Later the airline clarified saying that flights were cancelled due to an unforeseen operational circumstance. 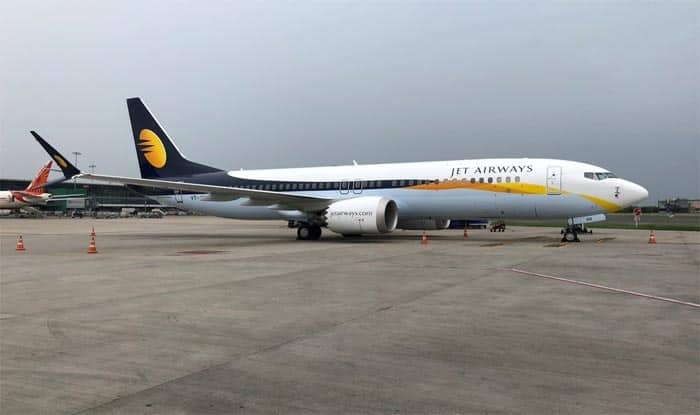 New Delhi: Jet Airways, which is facing a severe cash-crunch, has cancelled 14 flights to various destinations after some of its pilots reported “sick” over non-payment of their dues. The incident was reported on Sunday. However, later the airline has clarified saying that the flights were cancelled due to an unforeseen operational circumstance. The loss-making private carrier has been defaulting on salary disbursement to its senior management along with pilots and engineer since August due to a severe cash crunch. “At least 14 flights have been cancelled so far due to some pilots reporting sick. They are protesting against non-payment of salary, dues and the indifferent attitude of the National Aviator’s Guild (NAG) in taking up the issue with the management,” the source said. The NAG is a domestic-pilots body of Jet Airways, representing over a 1,000 pilots. The Naresh Goyal-controlled airline is struggling to mop up funds to meet its payment obligations, including salaries to it’s over 16,000-strong workforce.